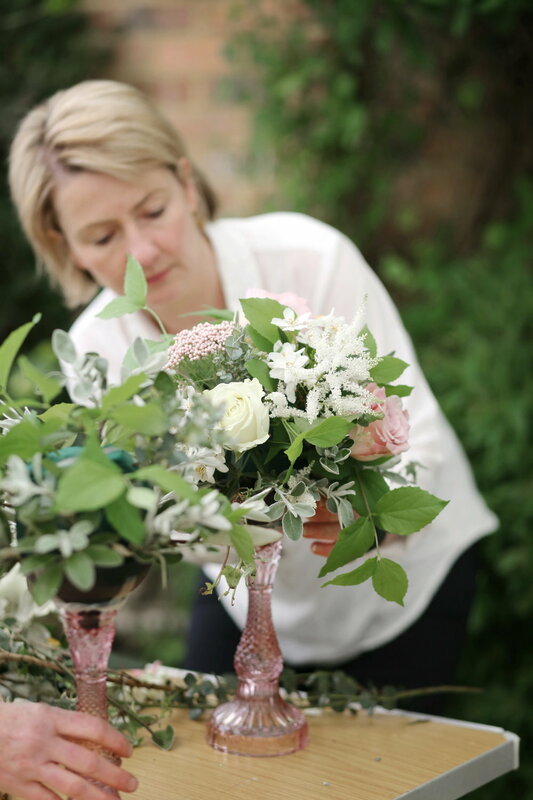 I am so excited to share the results of my collaberation with the hugely talented photographer Natasha Thompson. 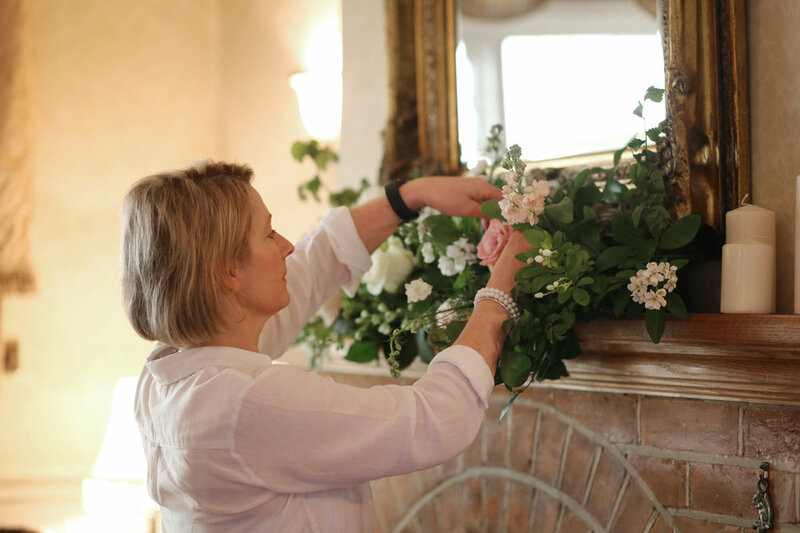 I am often asked what it is like being a wedding florist, so I was thrilled when Natasha agreed to come out and take some shots of us setting up for a wedding this spring just so you can see what goes on behind the scenes. We had enormous fun but no time to stop and chat, it was all go! "Camera shy" I most definitely am but Natasha made it so easy. 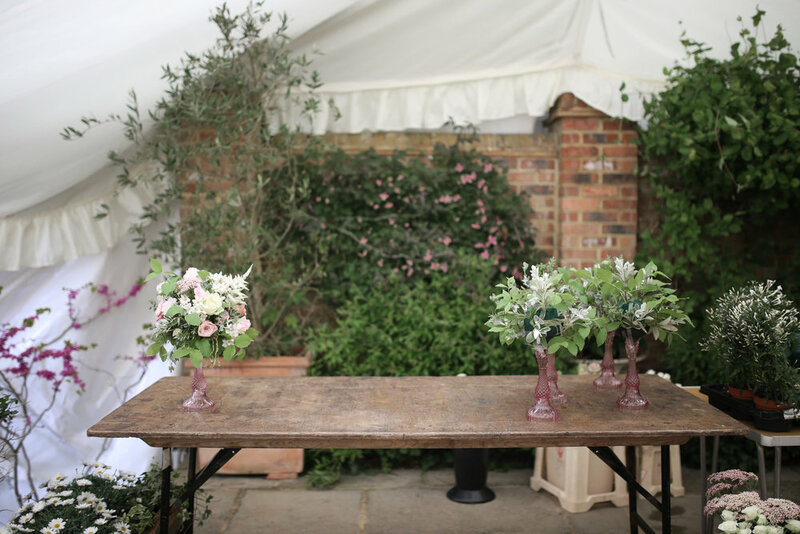 With weddings my relationship with my couple comes first, earning their trust and agreeing the scope and scale of what they would like for their big day is paramount. 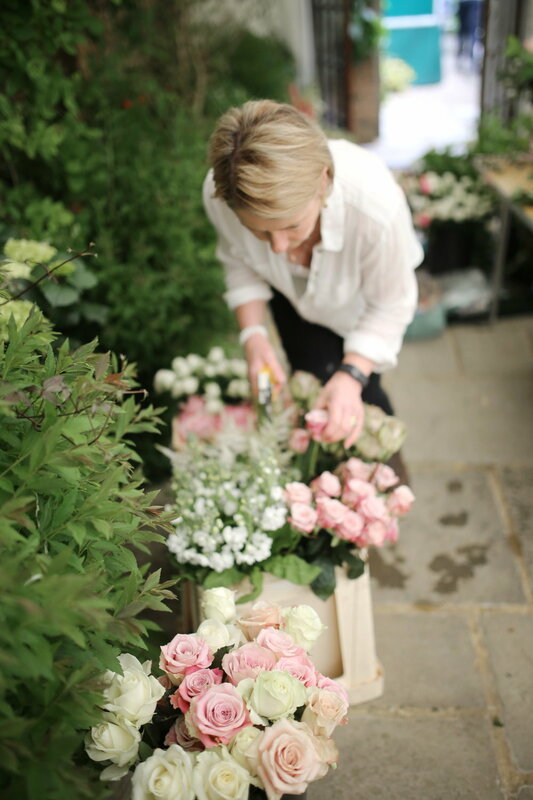 Then it's all about estimating, ordering the flowers, getting them conditioned and setting up our place of work, whether it be at the venue or the workshop. 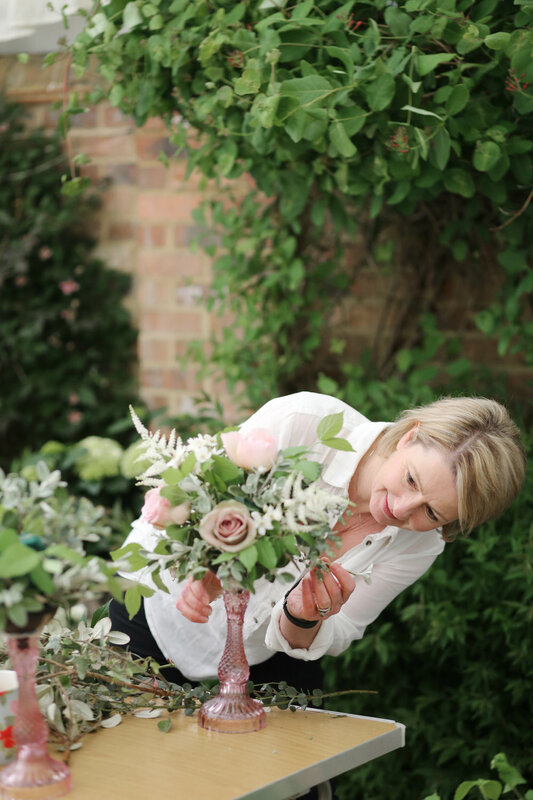 Seeing all the beautiful flowers come together is so exciting, it's when I know the time invested in the planning was worthwhile and you will often see me doing a merry jig! 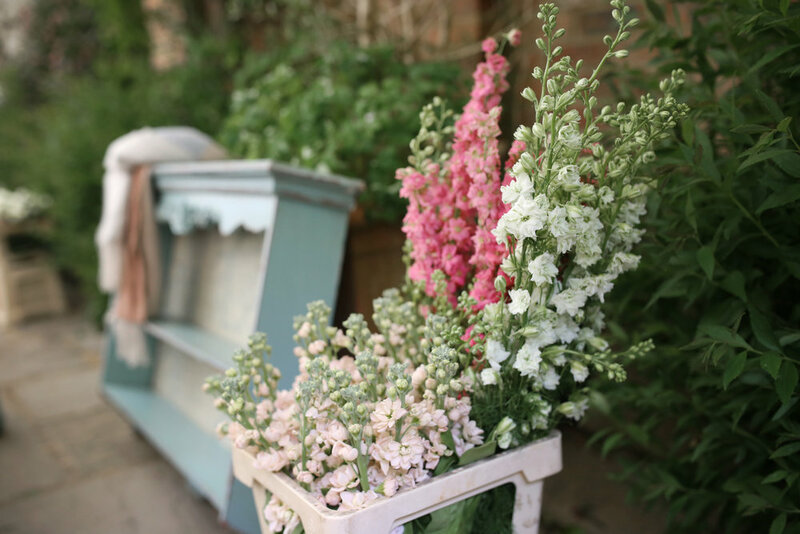 Time to immerse ourselves in the creative art of floristry; the spreadsheets are at the ready but hey, sometimes the numbers are a back up, it's time to go with our instincts. 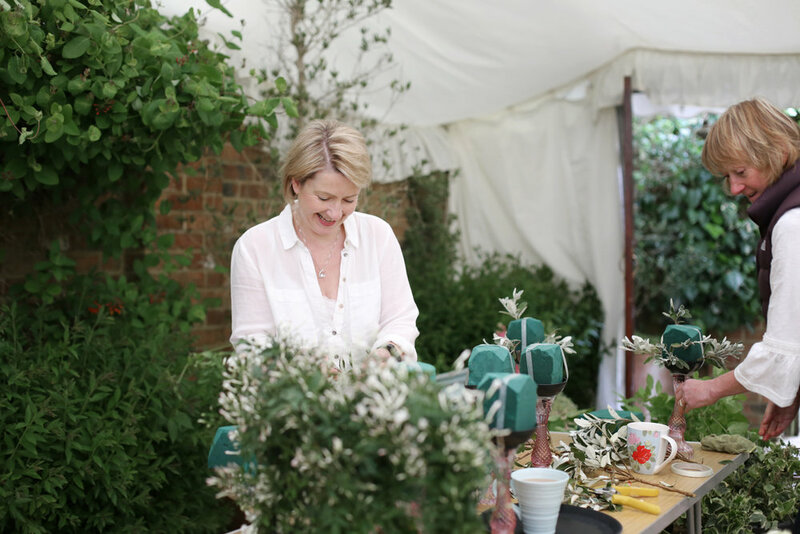 My florist buddy, Michele and I hard at work; as you can see it's really not glamorous, and there are a myriad of tools needed to deliver the stunning floral displays. Thanks to our wonderful hosts, there were plenty of cups of tea to keep us going. It's all about the mechanics, we love to avoid floral foam where we can, but sometimes it's just not possible and it's a serious business making sure everything is secure! 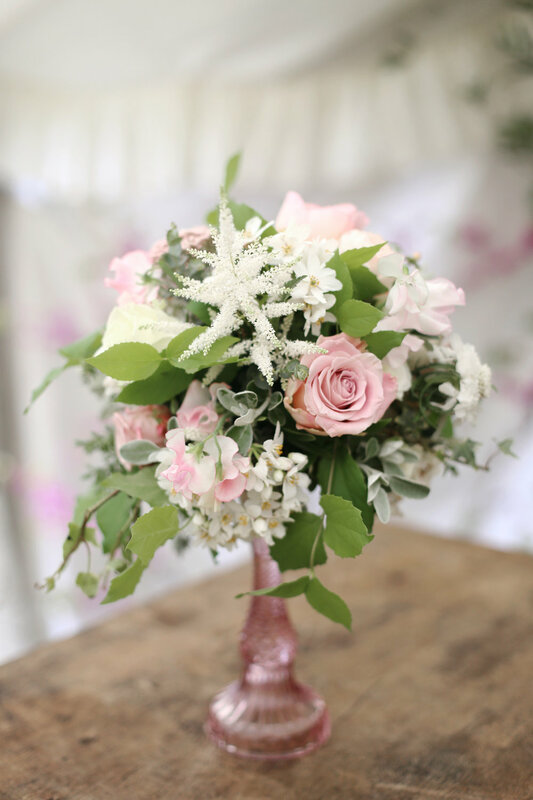 I just adore this soft blush and white colour palette Grace & Dan chose for their wedding, seeing all the subtle tones and textures is a joy. One pretty candlestick complete, 14 more table centres to go, now it's time to pop into the house to decorate the fireplace. 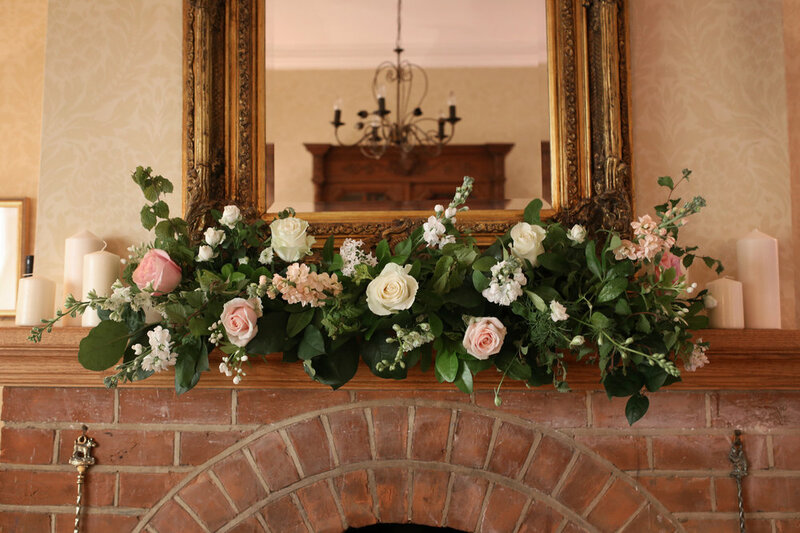 We love to work in situ when we can, it gives us the opportunity to create much more relaxed displays. 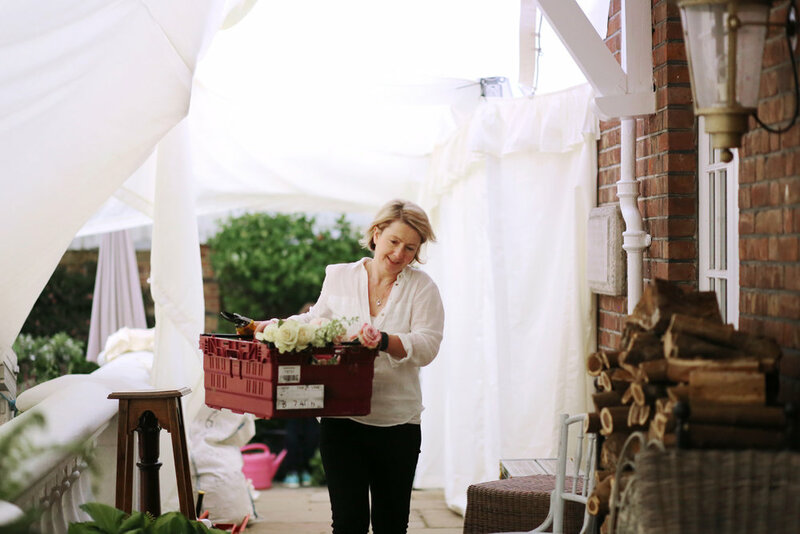 Grace & Dan had their wedding reception in a stunning marquee attached to the bride's family home, it really was the most glorious setting and when the wisteria and choiysia came into flower early, it meant the marquee was filled with beautifully fragrant blossom, a real bonus. Huge thanks to Grace & Dan and all the family for making us feel so welcome, and being so wonderful to work for and to Jeni at Vanilla Rose Weddings & Events for all her help and support. Finally a heartfelt thank you to Natasha Thompson, she knows I am a big fan, i so admire her style and her wonderful photography. 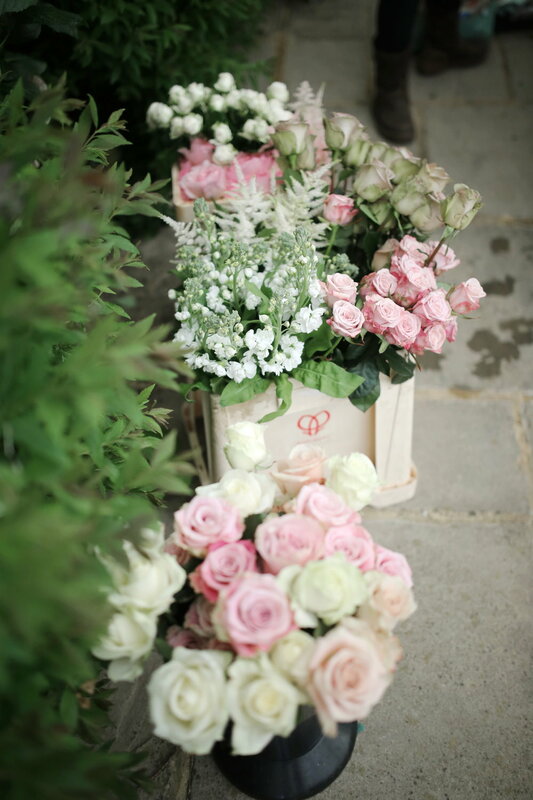 To see more of Grace & Dan's wedding, please pop over to the Galleries page.